Cherry Hill, N.J. — March 15, 2017 — Some Subaru Impreza vehicles are subject to a new recall, according to CNet. The source said that these vehicles had display screen problems. Drivers attempting to use the backup camera could instead be greeted with an empty or frozen screen. The recall concerns approximately 26,564 autos. To fix this problem, dealers will install new software, supposedly as soon as March 20. A user complaint from North Carolina addressed a similar concern with this same make and model last month. In a statement on the National Highway Traffic Safety Administration website, this unnamed owned said that the radio presets disappeared days after using the vehicle, and that the in-car Starlink system was making noise due to a problem with system code. According to this note, Subaru customer service verified this unnamed person’s vehicle defect. Sure, you may not need a backup camera, but if it’s not working when it’s supposed to, it’s still a pain. Subaru issued a recall for 26,564 examples of the 2017 Impreza in both sedan and hatchback guise. The vehicles in question have production dates between Sept. 12, 2016 and Feb. 23, 2017. The issue isn’t actually related to any mechanical part of the vehicle — instead, it comes from Harman’s infotainment unit, which underpins Subaru’s Starlink system. The backup camera display might not show up properly. Subaru is recalling several vehicle models in the U.S. due to engine problems that have the potential to cause fires. The defect was the result of an inappropriate manufacturing process, according to documents compiled by the National Highway Traffic Safety Administration. Subaru is recalling 100,127 Foresters from 2009-2013, Legacy and Outback models from 2007-2009 and WRX and STI models from 2008-2014. 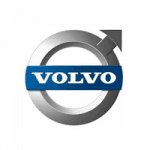 All models are equipped with a 2.5-liter turbocharged four-cylinder engine. The problem is that a faulty relay in these engines can cause the secondary air injection pump to fail. The pump may then end up working constantly, possibly overheating and melting and then igniting. Subaru believes that the check engine light would be lit if this had a chance of occurring in an affected vehicle. April 25, 2011: Fuji Heavy Industries, Inc. learned of a secondary air injection pump failure that caused the check engine light to go off, but did not result in fire. Fuji investigated and found that the relay associated with the pump had insufficient contact point pressure. Oct. 10, 2013: Fuji learned of another secondary air injection pump catching fire, but could not investigate it properly. May 8, 2015: Fuji was able to investigate a separate fire report and determined the cause. Sept. 30, 2016: Fuji advised Subaru that it would have to conduct a recall of all affected vehicles in the United States. Subaru dealers will replace the affected secondary air injection pump with a countermeasured replacement pump. This will be done free of charge for all owners. Cherry Hill, NJ — June 16, 2016 — A new Subaru recall effort will address 48,500 potentially compromised vehicles. Drivers in Subaru Legacy or Outback models from either the 2016 or 2017 model years may be in danger of crashing due to sudden steering loss. As a recall acknowledgment document filed with the National Highway Traffic Safety Administration noted, this issue comes from steering columns that don’t properly connect the steering apparatus to the wheels. The only component listed in this statement is the column, which was reportedly machined incorrectly during manufacturing. 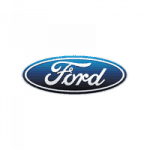 The Safety Recall Report, also available through the NHTSA, lists the production dates for each of the affected models: They range from Feb. 9 to May 6, 2016. This condition could mean that the wrong tool setting was used on the column when it was in manufacturing. According to the NHTSA documents, this recall has a relatively short history, with the first customer-related steering issue reported May 3. Further inspections followed on May 5, with the official safety recall determination coming just four days later. May 9 was listed as the dealer notification date, and as of this writing, no planned owner notification date is given on the amended report dated for May 12. The recall will also include a stop sale for any of the affected Subaru vehicles in the U.S. market. Because of the manufacturer’s fast response, it has already spurred changes to prevent this issue from hindering future vehicles. New screening practices went into use May 6. To address the potentially dangerous vehicles already in use, the report suggests dealers look at steering column lot numbers before deciding whether the entire column needs to be replaced. Unlike the faulty shafts, replacement parts are correctly machined and will comply with the intended specifications. The column comes from supplier NSK Steering Systems America, based in Michigan. All of the affected models are classified as “light vehicles” with a gas power train. While the 2017 Subaru Legacy has a 4-door body style, all of the other models are SUVs. The updated safety recall report lists the 2015 Subaru Outback as well, stating that it may have a defective steering column due to a previous service repair. Vehicle Identification Numbers are not included in this report. Some of the models in this notice were subject to other recent Subaru recalls. Last November, the 2016 Legacy and Outback vehicles were involved in a different action that also resulted from incorrect manufacturing practices. As the recall report for that case noted, the drive shafts in 3,251 potential units could detach, since the fastening nuts were not properly tightened. This could lead to a fire hazard, since the unmoored drive shafts could hit the vehicle’s fuel tank and cause a leak. Once again, improper tool use during manufacturing was at fault, since the loose nuts were not torqued correctly during the initial production. For the vehicle to pose a true fire hazard, however, the discharged fuel would have to come into contact with a source of ignition that would spark it into a flame. This was another case of a fast-acting recall, since the announcement came just three days after Subaru of Indiana Automotive, Inc. discovered the issue, with dealer notification then scheduled for the same day. Though the remedy mentioned possible replacement nuts and bolts, it also said that dealers could solve the issue by simply tightening these existing parts. A repair procedure document from the manufacturer stated that both the affected Outback and Legacy vehicle models began production on October 24, 2015. Cherry Hill, NJ — April 15, 2016 — Both Subaru Forester and WRX vehicles are part of a recent recall action. According to an official report, the automaker believes some of these units with the 2015 and 2016 model years were assembled with the wrong material in the “turbocharger air intake duct.” As a result, the company is recalling 18,200 vehicles which may contain components from the DaikyoNishikawa Corporation. A crack in this duct could possibly stall the vehicle. As the report further described, the parts causing the recall contain a specific lot number that factors into the planned remedy. A press release from the company republished in Autoblog stated that there was no official recall schedule released as of March 21. However, the March 17 Part 573 report claimed that the planned dealer recall date was March 21. In a separate repair procedure document, the same company noted that only some of the vehicles in the Subaru recalls will require a full replacement. Specifically, the repair order only applies to ducts produced in April 2015. Those that were built on this date will require three separate parts: the air intake duct, gasket and O ring. Cherry Hill, NJ — February 18, 2016 — A new Subaru recall meant to address problems with hood latches includes vehicles with the model years between . A Recall Acknowledgement from the National Highway Traffic Safety Administration (NHTSA) stated that affected vehicles could include hoods that might accidentally open without warning. The recall population contains a total of 77,000 Subaru Tribeca light vehicles, with manufacture dates ranging from 2004 to 2014 . As the official Part 573 Recall Report notes, this single recall actually centers around two possible causes, both of which could compromise the hood. This is due to malfunctioning front hood safety and lock assemblies, both manufactured by Johnan America, Inc. The former system could cause a hook to seize up over time and cease functioning correctly: the latter may rust and leave the hood unlocked. Both of these problems have to occur simultaneously to cause an issue. Earlier this year, Subaru became aware of a lawsuit involving a 2006 vehicle in which the hood opened suddenly during use. This February 2 document also announced that owners would be informed within 60 days, with retailers notified as the Subaru recalls continue. 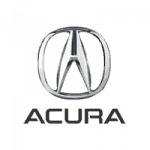 Washington, DC — January 19, 2016 — Honda’s involvement in the Takata airbag inflator recalls has been notable, considering the related fatalities in Honda vehicles. Late last month, the manufacturer announced that it would recall 127,000 CR-V’s with 2003 and 2004 model years, as Car and Driver reports. That month also saw the manufacturer submit a recall amendment to the National Highway Traffic Safety Administration, which named both 2WD and 4WD models as part of the action. Throughout 2015, the NHTSA has posted updates to efforts related to passenger side front airbag Honda recalls. CR-V’s were included among the nine models mentioned in the first recall, originally noted this past June. The amendment states that owner notification is believed to be completed by January 29. On December 23, the agency also noted progress in the existing Takata airbag recall efforts. 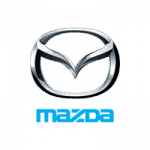 In addition to the Honda CR-V’s, the updates to the recall include Mazda 6 vehicles from between 2005 and 2008, and Subaru Legacy and Outback vehicles from the same model year period. It also appointed law firm partner John Buretta as an assistant in monitoring Takata’s further activities as the recall process continues. This statement also referenced nine total fatalities connected to the defect worldwide, with the most recent in a 2001 vehicle operated in a humid region. Previous reports on the recall have noted how humidity and high heat can make inflators more likely to rupture. 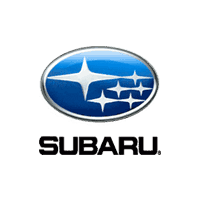 Cherry Hill, NJ — December 23, 2015 — A new set of Subaru recalls pertains specifically to vehicles produced this year, as recent as November 16, 2015. The National Highway Traffic Safety Administration (NHTSA) acknowledged an action that targets both Legacy and Outback models, reported as of November 20. According to the official Safety Recall Report, the propeller shaft nuts can come loose, perhaps leading to a sudden risk of fire damage inside the vehicle. This problem was first discovered on November 17, when Subaru of Indiana Automotive discovered that the torque was improperly fastened. Three days later, an official decision to launch the recall was made. 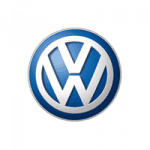 A total of 3,251 vehicles are included in this recall, with the action originally scheduled for December 10, under the number WQV-57. Subaru dealers will tighten the loose nuts if necessary. Dealers are advised to be gentle and avoid damaging the dust cover on the differential seal, since a replacement might be required if the seal is broken. Those doing the installation can make sure the nuts, bolts and washers all line up by checking for telltale flange and yoke paint lines. Washington, D.C. — August 26, 2015 — More than 2,890 vehicles may be affected by a seal cap issue that would leave occupants at risk of fire. As such, Subaru of America, Inc., has issued a recall beginning this month that includes the propeller shaft replacement measures that dealers can take to target this defect. According to the National Highway Traffic Safety Administration recall acknowledgment document, two different Subaru models are involved in this action: the Subaru Legacy 4-Door and Subaru Outback. Both of these have the model years of 2015 and 2016, and both started production on the same date, July 3, 2015. The Legacy vehicles ended production on July 25, while production on the Outback ended two days later on the 27th. The NHTSA also features a six-page instruction document for dealers on how to conduct the proper repairs in affected vehicles. This requires several parts, the source states, including a gasket filler plug and self-locking nut. "During assembly of the front slip yoke component of the propeller shaft, the sealing cap may have become deformed resulting in the possibility of a transmission fluid leak," it reads. "Fluid leaking from the deformed sealing cap may leak onto the exhaust system. Because none of the propeller shaft components are serviceable, the assembly must be replaced." The document goes on to advise inspection of the new propeller shaft for cracks or other defaults before repairs commence. In addition, retailers have also been informed of the "STOP SALE" order now in place intended to prevent vehicles from being delivered without being properly identified, marked and repaired.